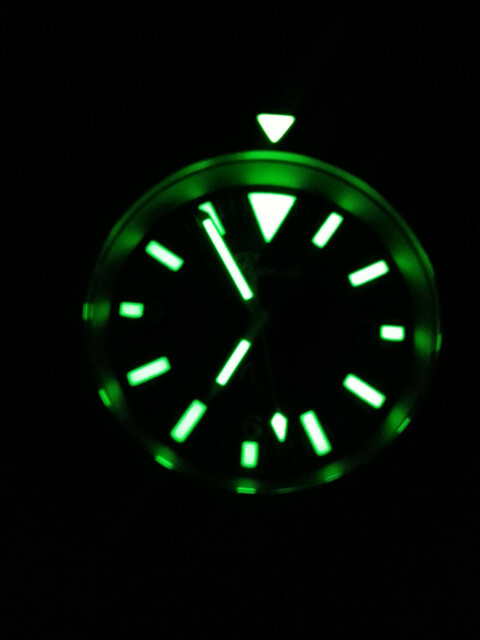 One of the main things I look for in a watch is great lume, specifically to last most of the night (but quick to charge and initial intensity is welcome). I was disappointed that the PRS18 COSC lume wasn't on the same level as the previous PRS18. I had some older TF watches that didn't have the best lume like the PRS14 and PRS10. I've read/seen that the PRS3 is maybe similar to the PRS14. I'm sure there are more older ones that can be added here. I found the old Everest to be quite good. The PRS40 and PRS18 brilliant, Seiko level. Will we see a return to the great lume of the PRS40 and PRS18? Is the new Everest on that level? 2nd from bottom is a Citizen Excalibur. 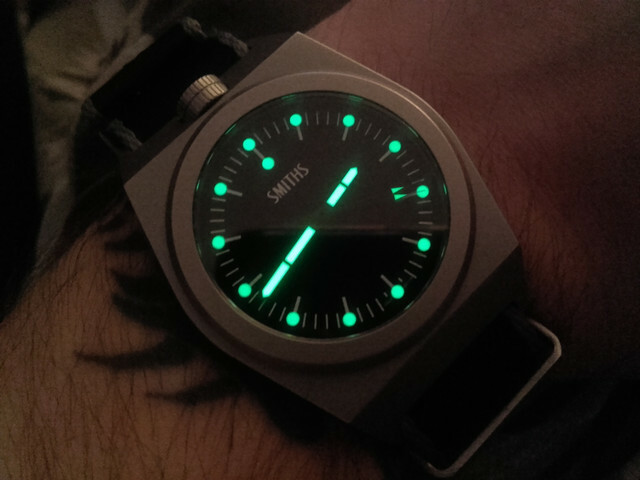 I was a bit disappointed with the lume on the COSC. However, I think it’s a cracking watch so I sent it off to dreamboat10 for a relume. It’s certainly improved it for me and made a great watch that little bit better. Last edited by Mr Tetley; 13th December 2018 at 19:05. What in the world is that one on the left? I agree that lume needs to be a priority. 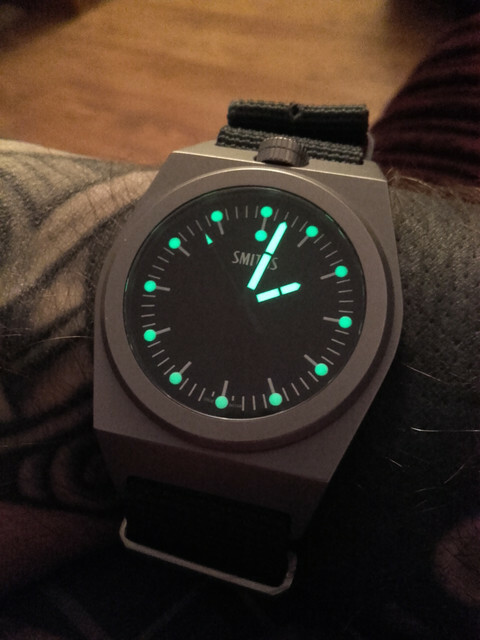 The COSC was not but the idea of a re-lume is a interesting, thanks! Lay it on good and thick Eddie! Looks like a custom smart watch dial? I think my big problem is my watches tend to be tucked under the cuff, so they don't get exposed to enough light. 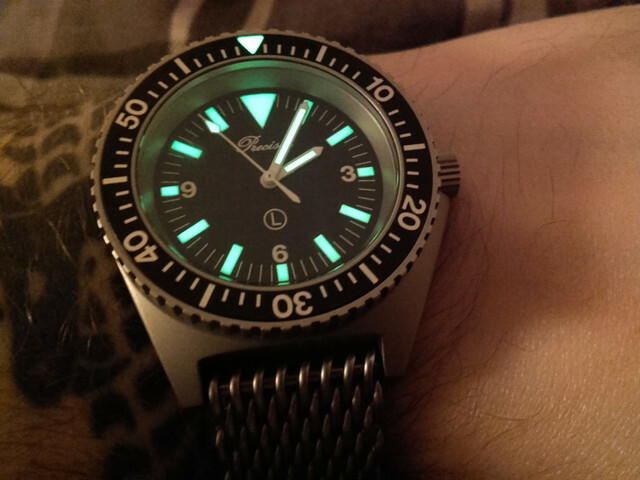 I wasn't a total fan of the lume on the PRS-3 tbh, a bit underwhelming. 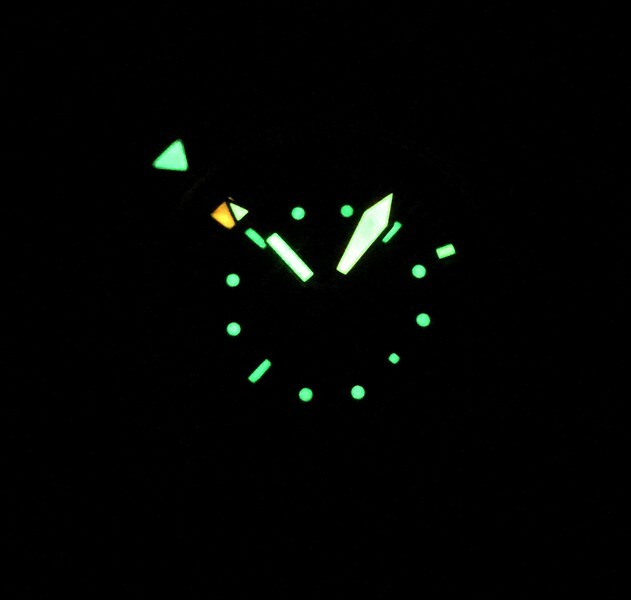 The lume is good, but I took that pic lying in bed after giving it a quick blast from an iPhone torch. In reality nobody really needs a dial that blazes away all night. 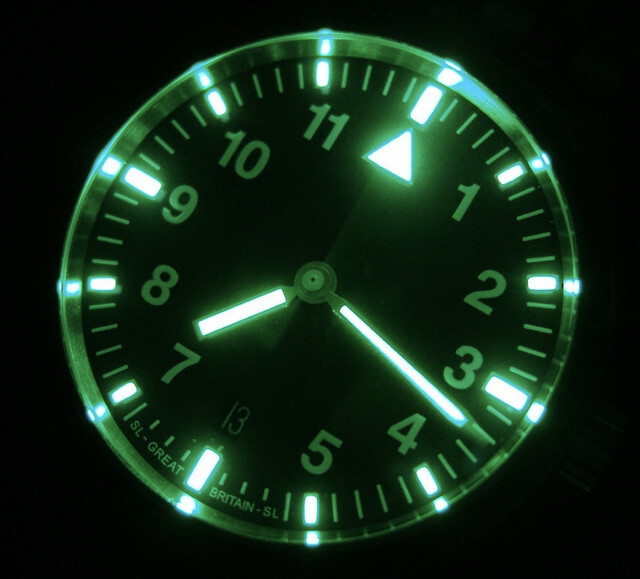 My old eyes can read the time on a Damasko at 4am when I get up for a pi$$, and they don't have the brightest lume. 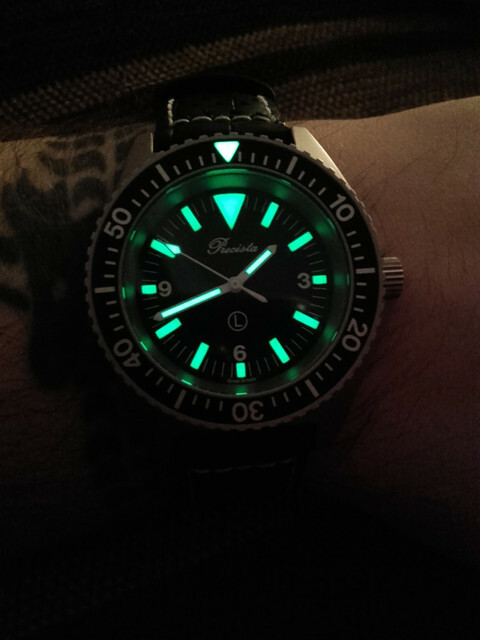 It's the longevity of the lume I look for. 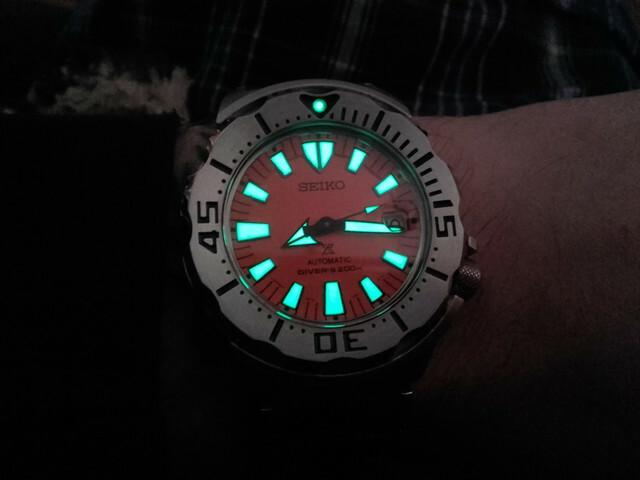 Even a Vostok glows bright to begin with, but is completely gone very quickly. 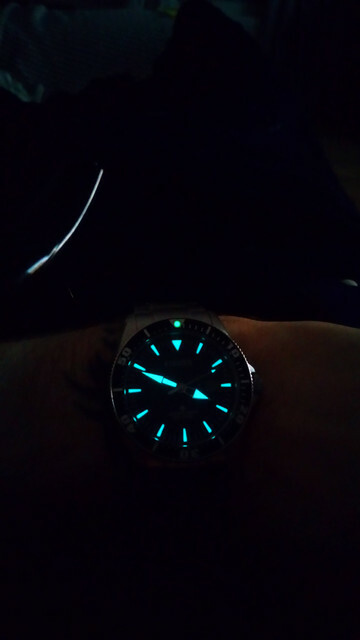 I agree with the OP that lume is really important. I've seen the thread on the PRS18 COSC - and agree that it does seem disappointing in that respect - as in all other circumstances it seems a cracking watch - but I would be interested to know why it should be so much worse than the PRS18 given that they use the same material/substance? The reason I ask is that I have a Memphis Belle - which has lumed Breitling style numbers on it - and whereas the hands shine nice and brightly all night - the numbers are at best very dim, and after a period of time are hardly readable. So does anyone have any ideas why the same material is so bright on some watches - but not others? Oh, and does anyone know if the PRS18 COSC has had it lume improved in any subsequent batch to the original?